Best Business Audiobooks | Ranked and Reviewed For You! Because you only have time for the best audiobooks! I haved ranked all the business audiobooks I have listened to. My prefered audiobooks are listed first. You can buy audiobooks, using these links at no extra cost for you. Audio Length: 6 hours and 9 min. Best Business Audiobooks’ Review: Wow! 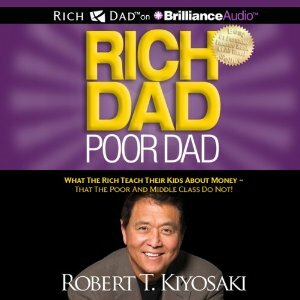 This audiobook will teach you that it is absolutely necessary to introduce financial education early in a kid’s life. The problem? Many adults are financially illiterate so they cannot teach their kids. Most schools do not teach this subject either. Learn how a financial education can make all the difference for you and your business. Sometime, the person with a good income are not necessary more rich than the person with the low income who knows the need to invest in assests. This audiobook uses simple words and gives practical examples that everyone can understand. Audio Length: 8 hours and 43 min. 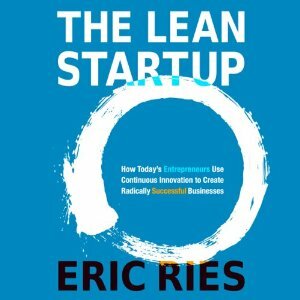 Best Business Audiobooks’ Review: Everybody is now talking about the lean methodology. This method was used by Toyota to produce quality cars. By lean we mean rapid prototyping and continuous improvement. Eric Ries is one of the first to adapt this method to the startup world. Do you know that doing a repetitive task like preparing wedding invitations does not work better if you do all the steps in large batches? Eric explains why in his book. If you are an entrepreneur building a startup company, this book is a must read! Best Business Audiobooks’ Review: The first time you see your first cow in a field, it’s a special moment in your child’s life. After a while, cows become boring. However, if there was a purple cow in the field, then this purple cow will become remarkable. This is a motivational book that stresses the need of designing remarkable products. The traditional marketing approaches does not work so well anymore. Only remarkable products speak for themselves. Another remarkable fact is that Seth Godin reads his own book. Audio Length: 13 hours and 4 min. 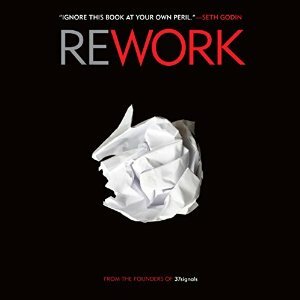 Best Business Audiobooks’ Review: This book is THE reference when trying to build an online business. It has inspired so many entrepreneurs! In this book you will understand how Tim Ferriss succeeded to have a online business that brings him a lot money by only working 4 hours a week! Audio Length: 2 hours and 50 min. Best Business Audiobooks’ Review: Jason Fried, founder of 37signals tells you his business secrets. This is a refreshing audiobook because it goes against the preconceived notions about startups. It is ok if you start small. It is ok to not grow very fast. It is ok not to raise founds. It is ok for your product to not have all the features at first. It is ok to keep your current job for a while. You can still succeed! It is time to re-work the work. Audio Length: 4 hours and 24 min. 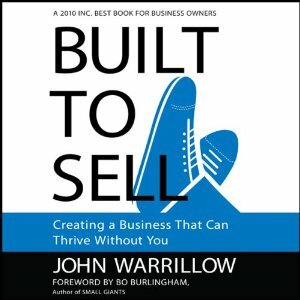 Best Business Audiobooks’ Review: This book explains that every business should be built by keeping in mind that one day you will want to sell it. Even if you don’t think you will want to sell your business anytime soon, this book will show you that building your business thinking that one day you will need to sell, is actually the best way to built a viable business. If you follow the tips of this book, you will end up with a business you may want to sell or you may want to keep because it is structured in a way it will be attractive for both to you and potential buyers. This book illustrates the topic by telling the interesting story of the author who succeeded to transform his business to sell it for a few millions dollars. After listening to a few chapters, you will be hooked and will want to know what is happening to the main character. You will learn a lot too! Author: Seth Godin Audio Length: 2 hours and 6 min. Best Business Audiobooks’ Review: Wow! 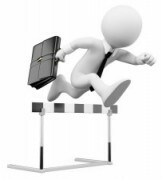 The only reason why this audiobook is not number one Best Business Audiobooks website is because it is not long enough! I wanted more! You cannot avoid to listen to every single word Seth Godin is saying. Everything he says is so inspiring and he is a great story teller! Leap First was recorded in front of a live audience. It is only available in audio format. 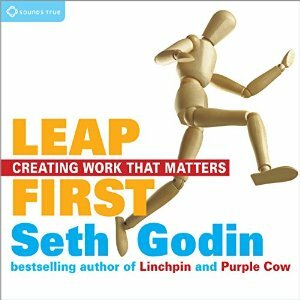 In this audiobook, Seth is talking about taking the leap and shipping your art. His definition of art includes things we build as an entrepreneur too. In fact, anything we produce that is meant to change things, even a little. We need to fight fear and produce our art. We need to fail often to be able to produce better art. Why does people quit producing their art? Be the best in the World (your World). Author: Seth Godin Audio Length: 8 hours and 27 min. 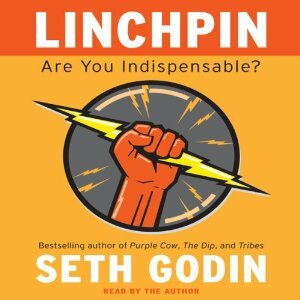 Best Business Audiobooks’ Review: If you never listen to an audiobook by Seth Godin, you might want to start with this one. It is really good! Seth knows how to motivate you to accomplish your projects and your dream. This audiobook gets a 4.3 review on Audible for a good reason. You won’t regret your purchase for sure! Audio Length: 8 hours and 5 min. 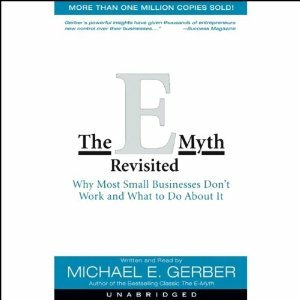 Best Business Audiobooks’ Review: In E-Myth Revisited, the author explains that the small business owners must wear 3 hats (The worker, the Entrepreneur and the Manager). 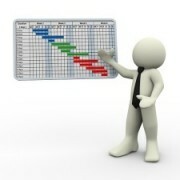 He explains the importance of structuring our business like a franchise. We must work ON the business rather than only IN the business. He illustrates his point by telling the story of an owner of an apple pie bakery who stop enjoying baking pie until she decides to follow the advices of the author. This book is best suited for small business owner. Author: Seth Godin Audio Length: 3 hours and 42 min. 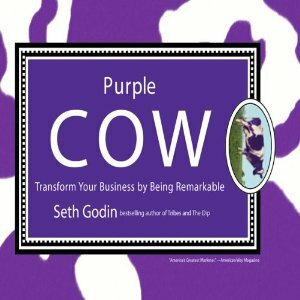 Best Business Audiobooks’ Review: You will notice that I have many audiobooks from Seth Godin in this best business audiobooks list. The reason? Seth is inspirational! Pretty much all the book he wrote is worth reading. 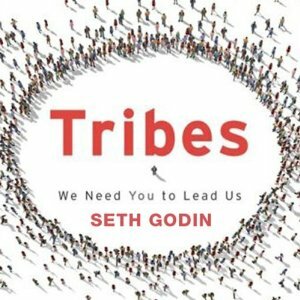 In Tribes, Seth describes the need to build an audience that will follow you. People are demanding good leaders. If you succeed to build a tribe (a faithful group of people that loves what you do) and you can communicate effectively with this tribe, you are setting yourself up for success. Audio Length: 1 hours and 31 min. 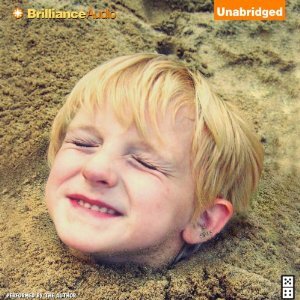 Best Business Audiobooks’s review: The author, the owner of CD Baby, a record distribution company, explained how he became successful by doing the opposite of what common sense was dictating. 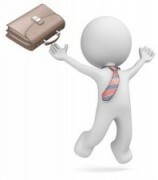 His main objective was to be happy and helping other in the industry. Interesting philosophical book about life and work. Audio Length: 8 hours and 37 min. Best Business Audiobooks’ Review: What is special about JF Kennedy goal: “landing a man on the moon and returning him safely to the earth, by the end of the decade”. This is a sticky phrase. But do you know why? The authors of this book will tell you why some idea stick and others don’t. What does it take to construct a sticky idea? This book will give you the recipe! 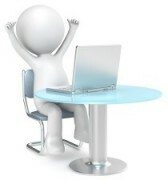 This is the basis to construct contagious messages or marketing campaign for your business. Audio Length: 9 hours and 15 min. 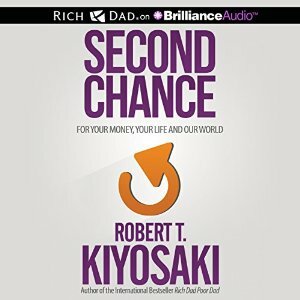 Best Business Audiobooks’ Review: With Second Chance Robert Kiyosaki teach you the finance skills you need to avoid repeating the errors of the past. Using a simple questions and answers format, you will have access to one of today’s top financial mind. 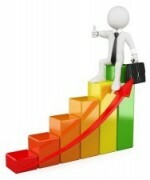 Financial skills is the key to your business success! What a great author! Audio Length: 6 hours and 54 min. 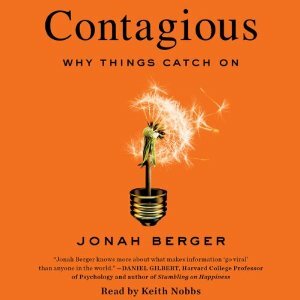 Best Business Audiobooks’ review: Contagious is a recent book (2014) that will show you the recipe to make your marketing content go viral. You want your message to be shared to as many people as possible. 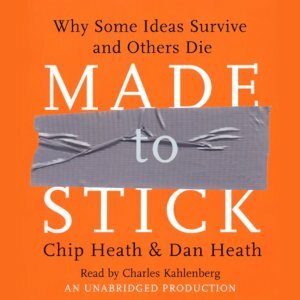 The author mention that he based himself on the finding from the book ‘Made To Stick’ from Chip Heath & Dan Heath and went a notch further to understand how sticky idea become contagious. Perhaps because I listen to ‘Made to Stick’ first, I have preferred it over ‘Contagious’. However both books are very good and similar, so you don’t have to listen to both. Audio Length: 11 hours and 18 min. 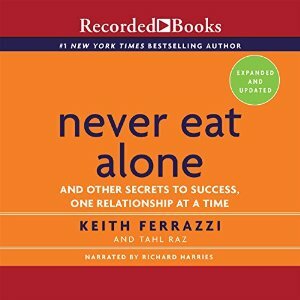 Best Business Audiobooks’ Review: If you ever need to buy a book about networking, this is the one! Why some people has more great contacts than others? Not because they are lucky. Because building contacts means working on your relationships in a systematic way. The author will explains how to get great contacts and what great contacts can do to you. If you would like to get notified when a new audiobook is added to this list, you can subscribe to the Best Business Audiobooks Newsletter (for free) by adding your email here. Author: Jonathan Guay, president of 3ALogic Inc.
Jonathan is a dad, husband, computer engineer, software developer, entrepreneur, university teacher, project manager. He worked in the space, medical and telecommunications industries. He loves business audiobooks and want to share his best findings with you so you can too get the tools and inspiration you need to produce great things! Thank you for sharing this website to your friends! Top Business Audiobooks ever! 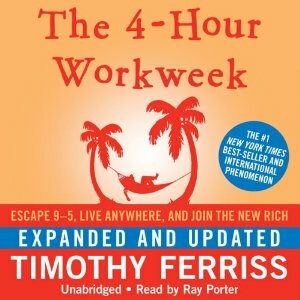 I haved ranked all the business audiobooks I have listened to. You only have time for the Best Audiobooks! My preferred audiobooks are listed first. Copyright © 2017 3Alogic Inc.